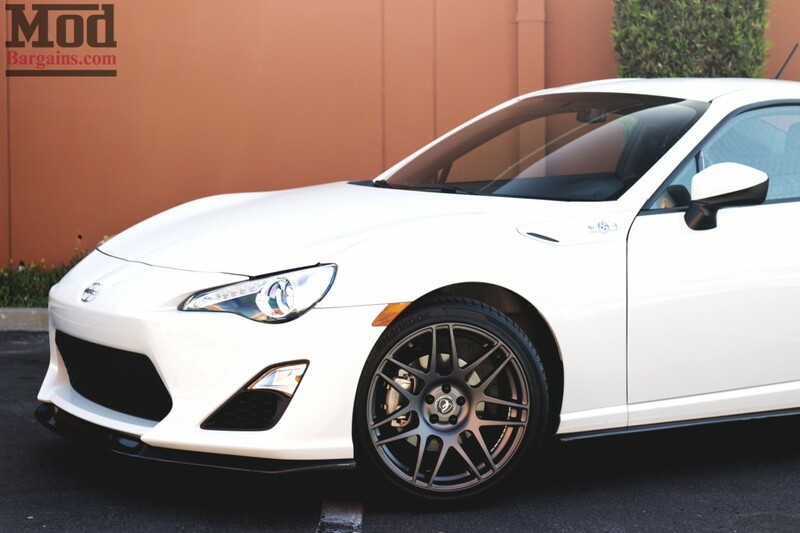 This quick-snap is of a popular combination: the Scion FR-S and the Forgestar F14 Wheels. 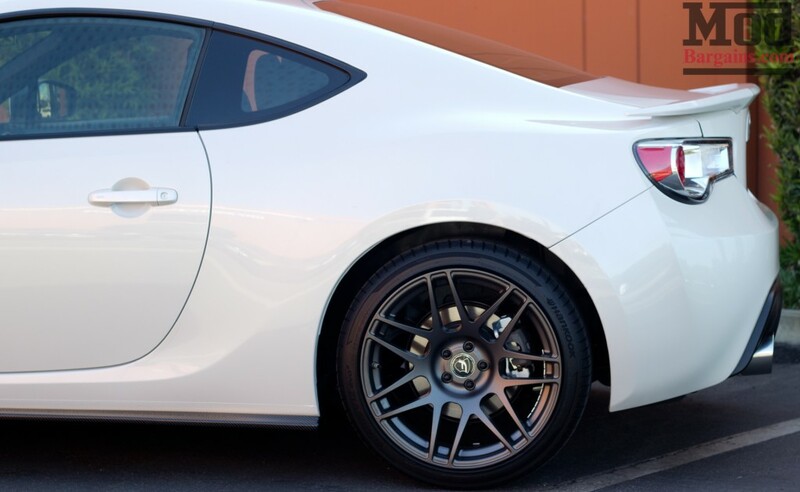 Forgestar F14 Wheels for the Scion FR-S provide an aggressive style to the spirited-driving machine, while still being of high quality. This specific setup belongs to Mike, a true car enthusiast. Mike went with a Gunmetal Finish on his 18″ F14s wrapped in Hankook Tires. But wheels weren’t the only mod picked up. To match the aggressive wheels, Mike also went with the 2H Carbon Fiber Front Lip. 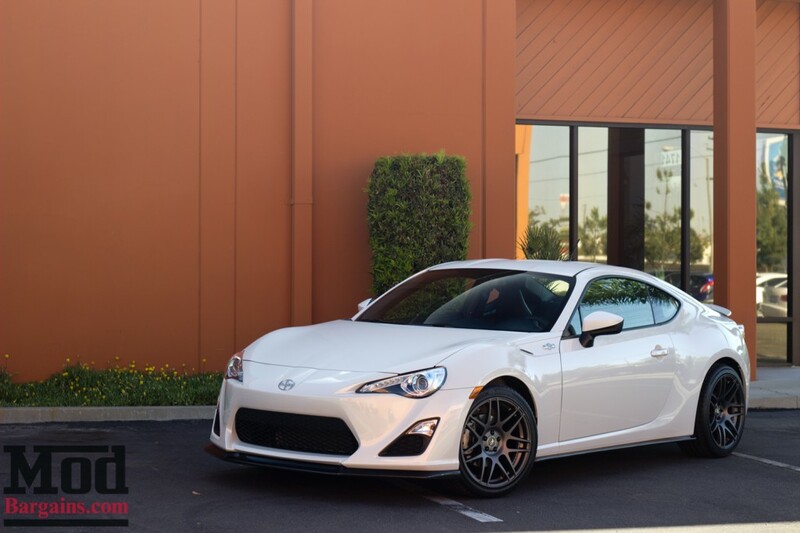 This front lip is lowers the profiling of Mike’s FR-S, and is all one, lightweight piece. This set up wouldn’t be complete without some matching side skirts, and this is where the FR-S/BRZ Side Skirt Extensions helped finish off the look. There are a number of possibilities Mike could go from here, including some FR-S Suspension parts, or more Scion FR-S exterior parts. But as it sits now, his FR-S is looking pretty good. 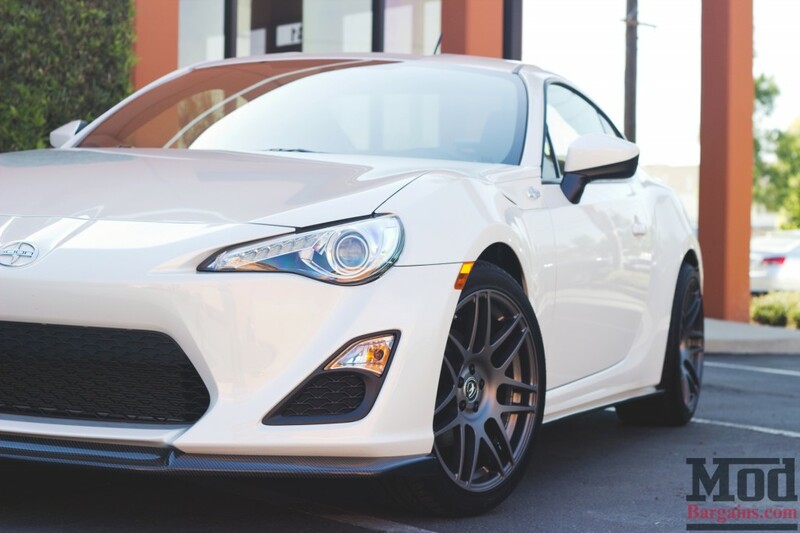 If you’re looking for some Scion FR-S parts yourself, be sure to stop by ModBargains.com, or check out our blog post on the Best mods for the Scion FR-S/BRZ. What size are the F14s? If memory serves, these are 18ins.